A lot is changing in the area of Regenerative Medicine. More research is coming forward to show the amazing healing potential. We still have a lot to learn about the use of cytokines, growth factors and mesenchymal stem cells. However, there are many new products that show great potential to heal chronic injuries. I spent the last several months attending three different regenerative medicine conferences. I served as both faculty and speaker and I was able to hear many amazing talks about new techniques and the latest research. What has struck me as the most consistent message is that pre-treatment with PRP (platelet rich plasma) is key! Pre-treatment with PRP 6-8 weeks before a stem cell type procedure primes the pump, so to speak. This priming helps to significantly improve outcomes. It seems that by improving the area with platelet derived growth factors, the system is ready to take off when stem cells are added later. Adding PRP to augment a stem cell procedure 6-8 weeks afterwards can also help to further enhance the healing process. The other thing I learned is somewhat disheartening. 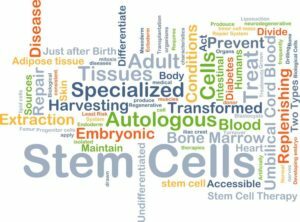 Many lessor trained medical providers are jumping on the bandwagon by using the buzz words “Stem Cells”. They are advertising amazing results without really evaluating the patient and correctly diagnosing the cause of pain. Many of these providers are now pushing the “miracle” of stem cells. Be aware that you ‘can’t make chicken salad out of chicken poop!’ In other words, if a patient has end stage osteoarthritis it may be too late for a regenerative procedure to work at all. It may not provide enough improvement to avoid joint replacement surgery. Therefore, careful selection of your provider is critical. This will help to assure you the best outcomes, but also to prevent unnecessary expenditure if the joint is too far gone. Here at PICSM we are proud to provide our patients with a comprehensive exam. We provide recommendations that are supported by research. We have the most experience in Montana with regenerative medicine procedures for bone and joint issues. We have the best diagnostic, high resolution ultrasound equipment to help make the right diagnosis or guide your injection to the correct tissue. Finally, no other clinic in Montana has more options for the vast variety of injuries that can be helped by IROM.